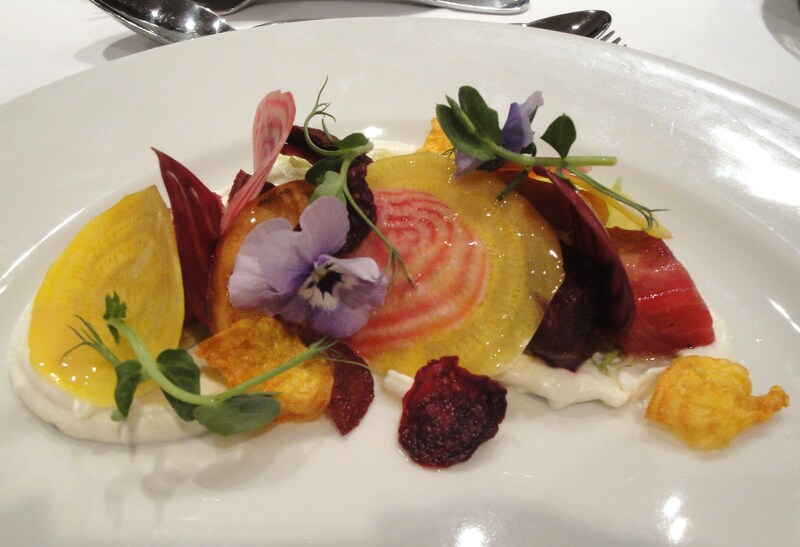 Lunch with Chef Maria Elia – Food That Makes You Smile! 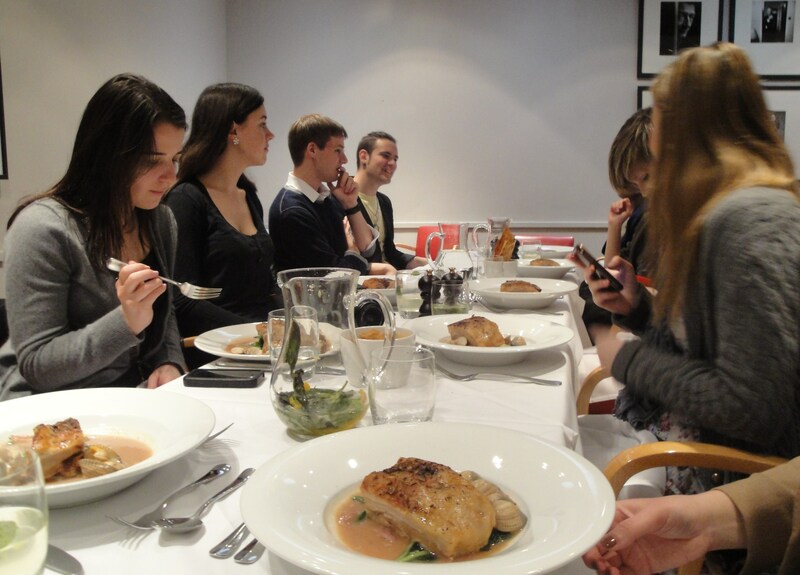 Last week I had the pleasure of joining a group of Gastronomy students for lunch at Joe’s Restaurant in South Kensington. We had an exclusive 3 course meal prepared by celebrity chef Maria Elia, along with a question and answer session related to catering and events. I must say, she was a very friendly, talkative and down-to-earth person, which made the whole atmosphere really relaxed and enjoyable. 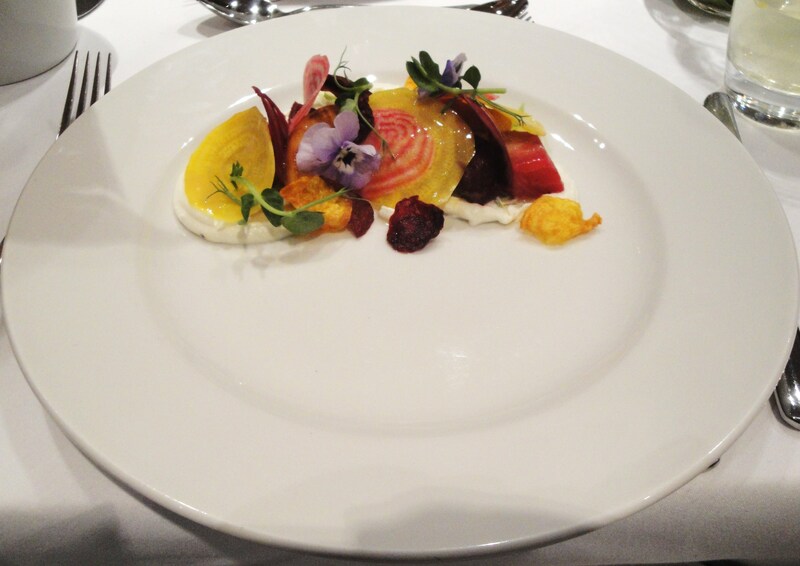 For starters, we had a Spring time inspired salad which had a Feta Cheese curd, Roasted Beetroots, Apple & Hazlenuts with vegetable crisps. It was absolutely divine – nothing quite like anything I have tried before. The roasted ‘fruit’ was to die for. The tart taste of the feta complimented the sweet roasted apple and it was like a dance in my mouth. I have to admit, there haven’t been many occasions where I’ve had the opportunity to eat fancy looking food before, so this was a real treat. The presentation was impressive, as evident from the photos. It’s a well known fact that good looking food just tastes better! For my main, I was the only person who received the vegetarian option as everyone else was eating a Pork belly dish, and being a Muslim, I obviously wouldn’t be eating that. So I was very grateful for my scrumptious main. 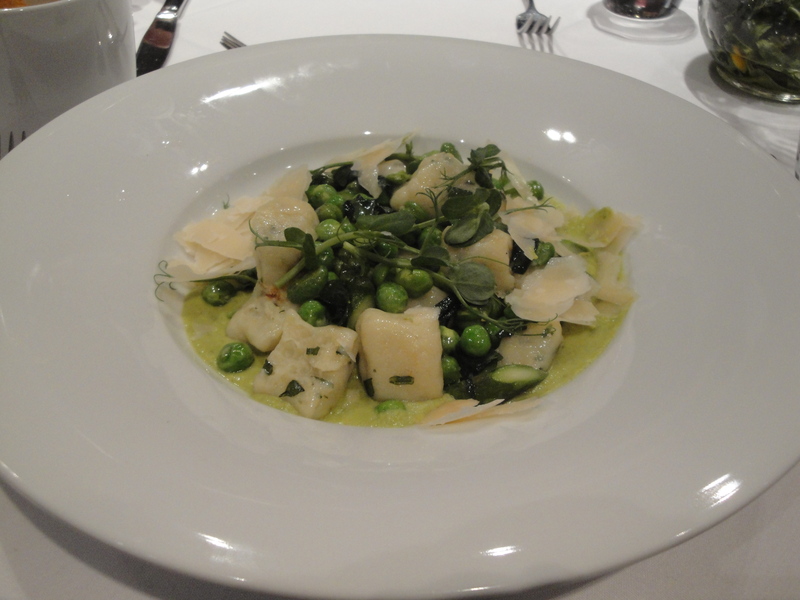 It was a Gnocci dish with asparagus and peas and a delicious purée which I couldn’t quite recognise, but nevertheless, amazing! I cannot describe how incredible the Gnocci was. 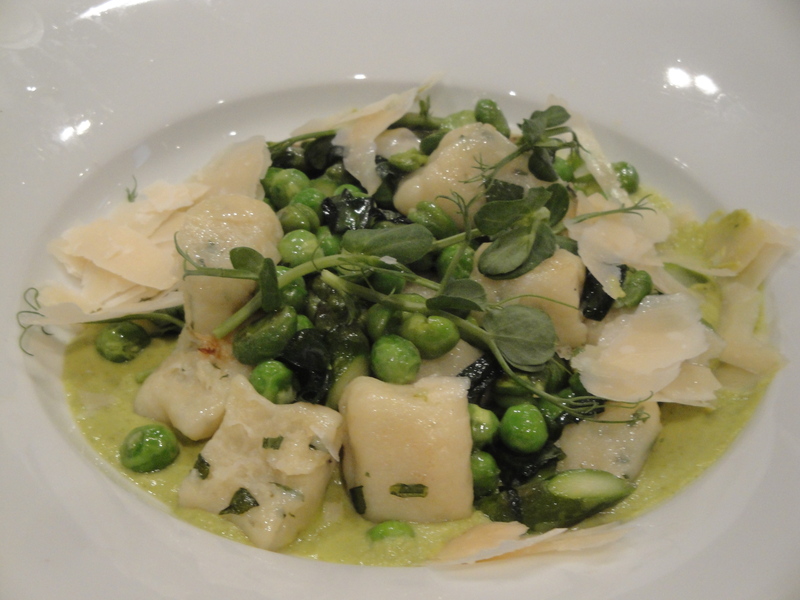 I have eaten Gnocci before, and I have never particularly liked it – in the sense that I would not choose to order it if I had other options. It generally can be quite stodgy and chewy, however, this dish completely changed my opinion of Gnocci and I have discovered a new found love for it. It was so tasty and soft, that it just melted in my mouth. I ate every last bit of it! For dessert, we had a 4 piece extravaganza! 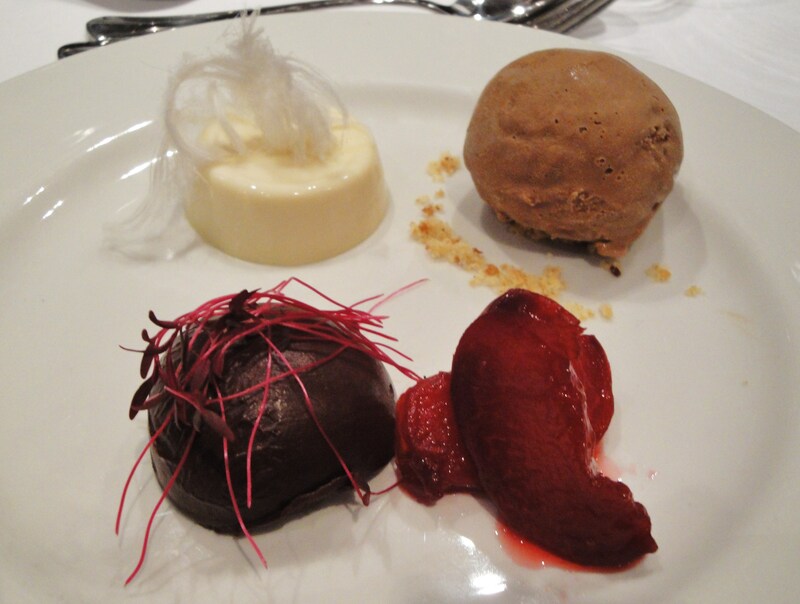 This consisted of a jasmine tea style Pana Cotta topped with Persian ‘Fairy Floss’ (like candy floss), a smooth dark chocolate truffle, a scented ice cream which I couldn’t quite recognise, and some flambéed fruit (which I didn’t end up trying as I think it had alcohol in it). I personally found the jasmine flavour a bit too strong and not particularly to my taste, but the Persian ‘fairy floss’ was a really cute touch to it – and who doesn’t love a bit of candy floss!? 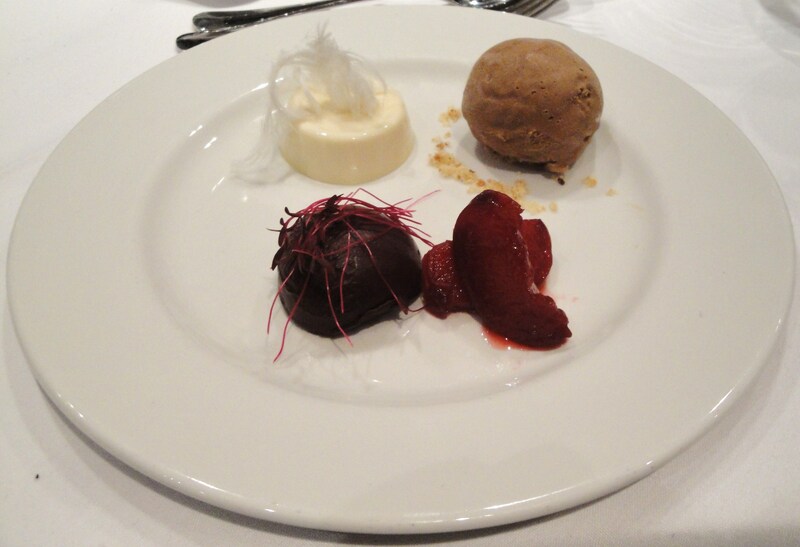 The ice cream was refreshing but my favourite was the dark chocolate truffle – it was rich, but smooth and the perfect ending to a great meal. 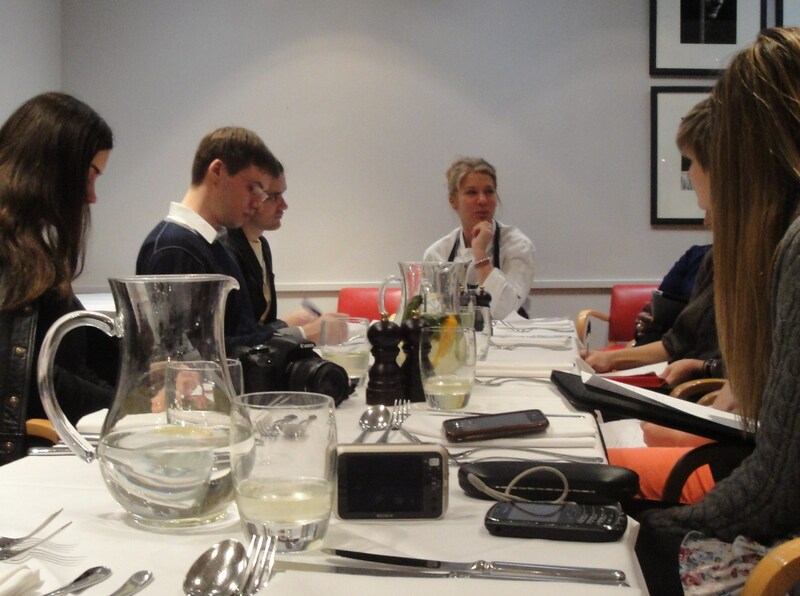 It was really nice of Maria to come and join us after the meal to get our opinions and had a little chat. There were some interesting points made in the discussion about catering and events. It’s an area I have always been intrigued about, and some of the advice I picked up was very useful as they’re not generally ‘from the book’ but from experience – which is always worth more! To consider the amount of labour time spent on preparing and making one fancy canapés for events – sometimes it can be handled more than 10 times by different staff (wash, cut, freeze, etc) and it doesn’t necessarily mean it will taste any better. You have to consider the restrictions at some venues – there can be difficulties with some food types if, for example, there is expensive art work hanging on the walls, as you can’t flambé food or even serve red wine in some places because of it. You have to think of every eventuality – so if there’s a spill, who’s responsible to clean it up, etc. Let your kitchen and space govern what you’re going to cook – too ambitious dishes will never work if you don’t have the space and equipment. 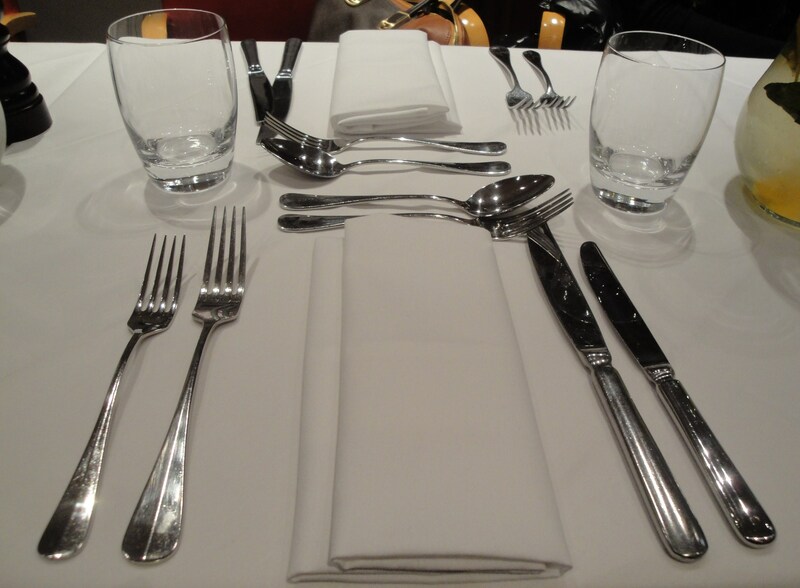 Ask the venue where you will be preparing the food, what equipment they have – you can’t expect them to have everything you need, so specify beforehand or adapt dishes. Especially relevant when catering abroad. There is a lot of food wastage at events – sometimes they cater for 500 people, but only 120 will eat it, so the rest of it has to be thrown in the bin! Counting stock – never rely on one person to count. Always get at least three people and do it yourself! Food shortage is the worst thing that can happen at an event. Always tastes the food before it goes out – seems like common sense but sugar can be mistaken for salt and it can ruin the whole dish – especially dangerous when preparing vast quantities of food! If anything goes wrong, don’t panic – just adapt the dish. When working out portions, do a tasting menu, take a photo and keep it in a project folder, then multiply it by however many you need. 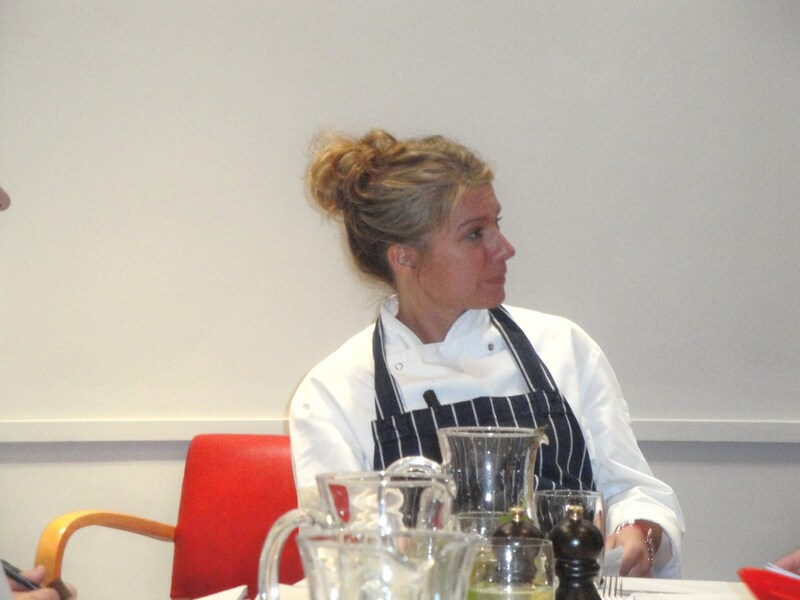 When asked about why people get small portion sizes, Maria said that the price of certain food is so high that, monkfish is nearly the same price as a fillet steak! When catering for big events, think about the weather, nut allergies, etc. She obviously covered a lot of ground, but these were the points which I particularly found interesting. 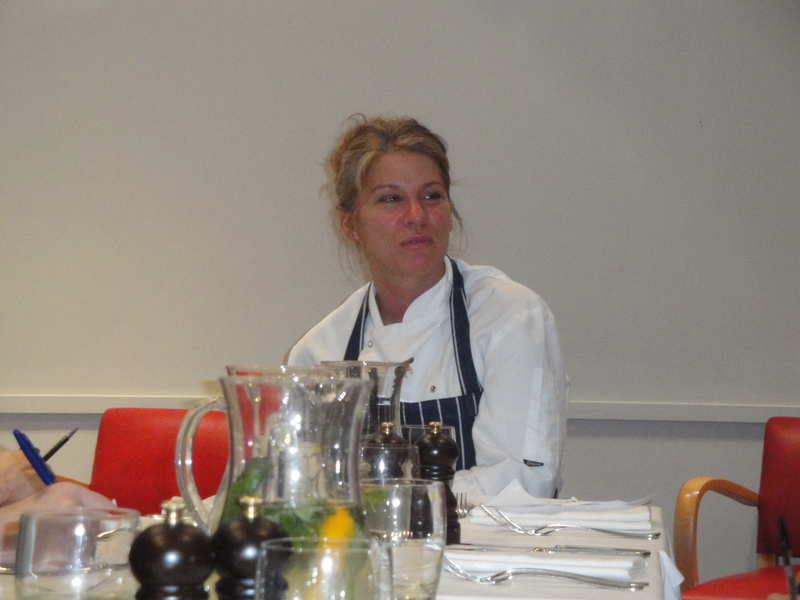 Maria has now finished working as Executive Chef at JOE’S, but has many projects coming up, like a new cooking show possibly on ITV, a new cookbook, exploring her Greek roots by going to Greece and experimenting with food out there and a ‘not a restaurant’ project she was very hush hush about. I am intrigued though, and will definitely look out for her stuff in the future as it was a pleasure to meet her and I thoroughly enjoyed the food prepared by her.